As a kid when you go to the arcade whats your favorite game? Nine times our of ten it was Skee-Ball, well we have the inflatable version here for your enjoyment! Players 1 by 1 roll the ball up the lane to score points to see who can get the highest points or who can make it into the middle! 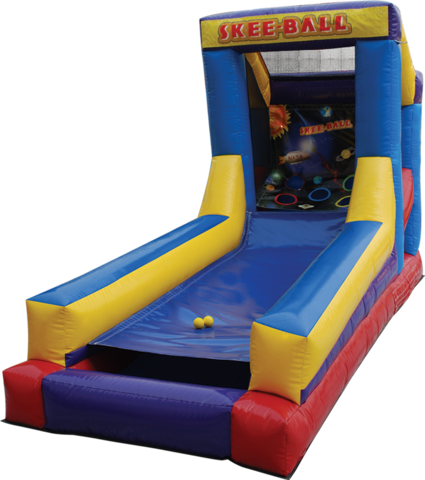 Skee-Ball will be a crowd favorite for many different occassions whether a backyard party, school party, church festival, teambuilding events and more!